The connection between God’s Word, our hearing and understanding His voice is clear. Where there is little or no Word, there will be little or no hearing or understanding. 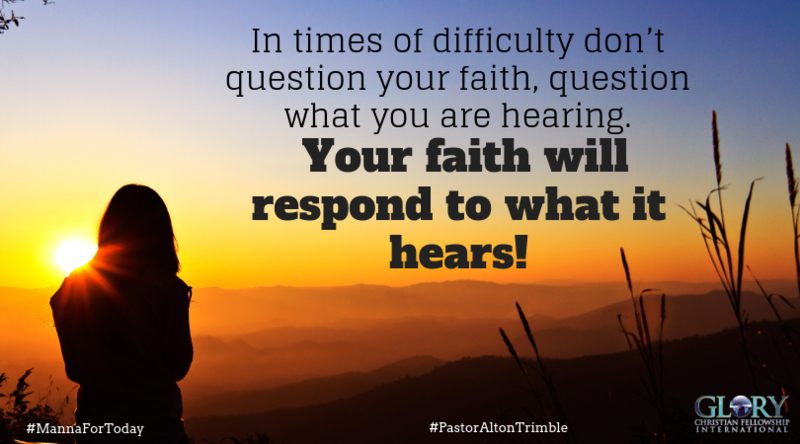 In times of difficulty don’t question your faith, question what you are hearing. Your faith will respond to what it hears! Father, thank You for Your word!!! Continue to bless me with the desire to seek, study and hear Your word in church and at home. Help me to press forward to new levels in my understanding so that I may walk and share with others. In the name of Jesus, Amen. Thank You Lord for another wonderful Manna for today. Keep me and my family hearing Your word. Let us never question our faith and keep our minds on You! In Jesus mighty and matchless name, Amen!